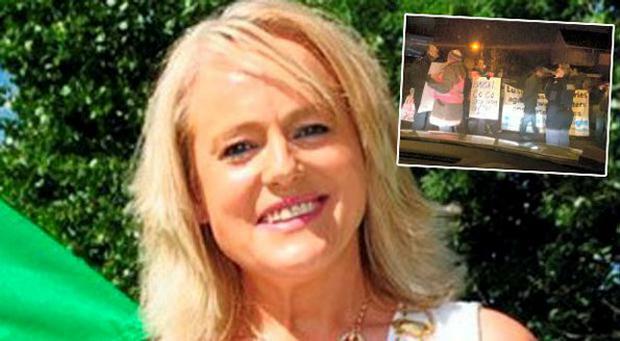 The Mayor of Fingal has described how a group on anti-water charge protesters blocked her exit from a council meeting for more than an hour, preventing her getting to hospital to see her sick daughter who is awaiting a liver transplant. Mags Murray said that she had to suffer verbal abuse as well as being blocked into the council's car park late on Monday night. "I was trying to get to my daughter Aoife in St Vincent's Hospital and these people would not let me out," Ms Murray said. "When I told them my daughter was sick one of them said, 'if your f***ing daughter is that sick what are you f***ing doing here'. It was unbelievable," she added. Aoife Murray (26) has been sick since she was 11 years old. She has further complications - including an enlarged spleen, which is putting pressure on her circulatory system, causing her to bleed a lot. "I felt insulted as a mother, not because of my title. I try to attend to all my responsibilities and I had promised Aoife I would go and see her," said Mags. She said council staff, who had been at the offices in Swords for the whole day, were prevented from going home. "They had been there 12 hours, just doing their jobs, it was terrible," said the Fianna Fáil representative. The council meeting ended at 8pm on Monday, but it was 9.20pm before Mags was allowed out by protesters. When another person pleaded with the protesters on Mags's behalf she said they were abused also. "'Well she can get a bleedin' taxi because she's not getting out of here,' they were told," said Mags.